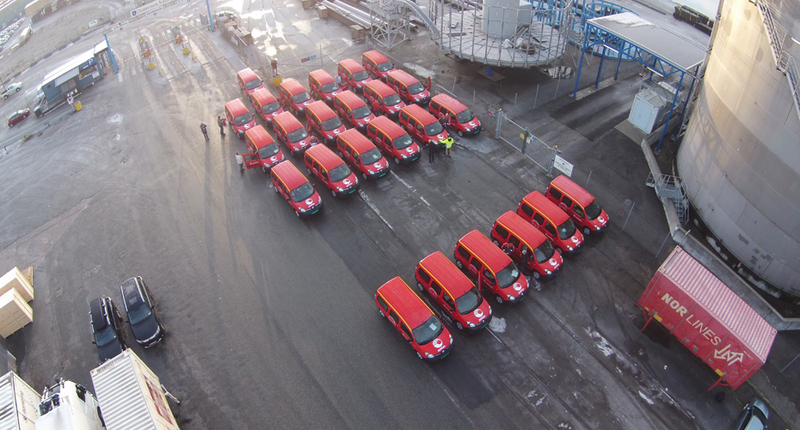 Renault will deliver 240 Kangoo Maxi Z.E.s to Posten, the Norwegian postal service. This is one of the world’s biggest electric vehicle purchases so far. 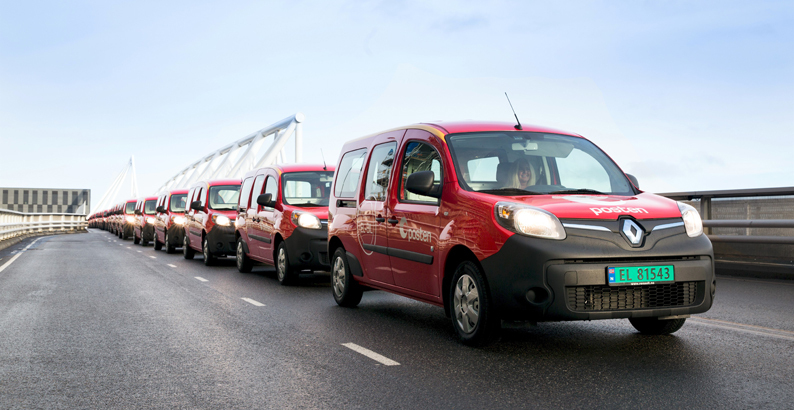 Our Group today, 27 November, announced, that the Norwegian postal service, Posten, has ordered 240 Renault Kangoo Maxi Z.E.s. With a range of 170 km NDEC (80 to 125 km under usual driving conditions), Kangoo Maxi Z.E. 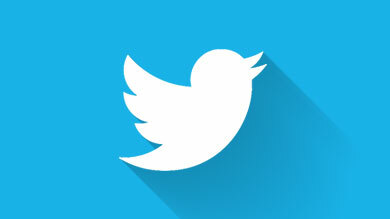 is well-suited to the everyday tasks of administrations and companies. 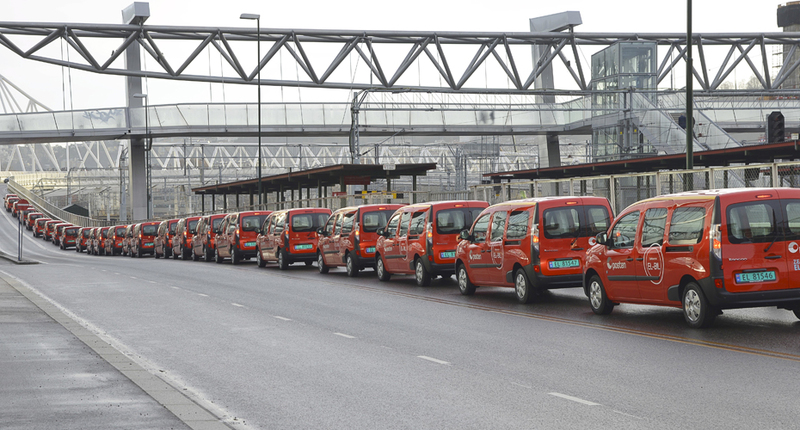 Posten’s red Kangoo Maxi Z.E.s will mostly be used in areas of high population density. 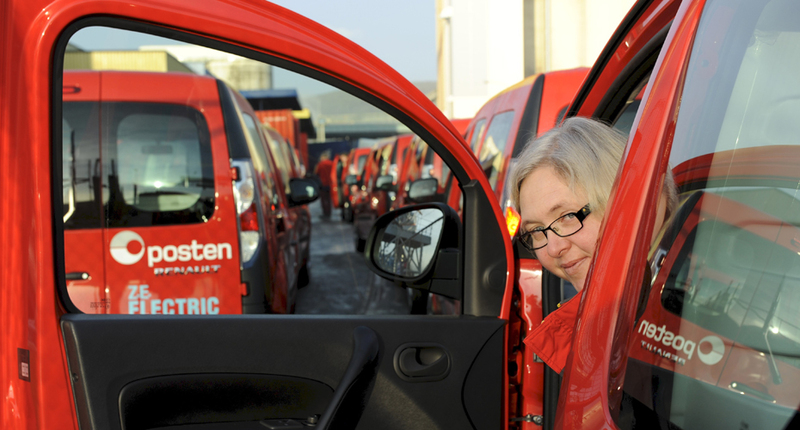 Posten, which already has a fleet of 900 electric vehicles (cars, bikes, quadricycles, trailers), is taking a further step forward in environmental responsibility with the purchase of Kangoo Maxi Z.E. It is targeting a 40% reduction in its CO2 emissions by 2020, a very substantial measure when we consider that this company alone accounts for no less than 1% of CO2 emissions in Norway as a whole. Over the last few years, electric vehicle sales in Norway have been stimulated by a committed government incentive policy. At the end of 2015, electric vehicle sales account for 20% of all new vehicle sales in the country. We can expect to see 200,000 electric vehicles across the country by 2020, which is 10% of all the cars on the Norwegian roads. In Norway, electric cars are exonerated from VAT and road tax. They pay no parking fees, road tolls or ferry charges. And they are entitled to use bus lanes. The Renault electric vehicle line-up in Norway comprises ZOE, Kangoo Z.E., Kangoo Maxi Z.E., five-seater Kangoo Maxi Z.E., and Twizy. Renault is the pioneer of affordable all-electric vehicles, and the only carmaker to offer a full range. Renault sees the electric vehicle as an eminently viable countermeasure against global warming. Because it burns no fossil fuel, the electric vehicle emits no CO21. ZOE emits 0 g/km of CO2 whereas an internal-combustion or hybrid vehicle of equivalent size emits at least 84 g/km. According to the International Energy Commission, with 7 million electric vehicles on the road by 2020 we would save 400,000 barrels of oil per day. Very specifically, without the electric vehicles that Renault has sold so far, an additional 115,000 tonnes of CO2 would have been emitted into the atmosphere, and an additional 230,450 barrels of oil burned (average per year2). 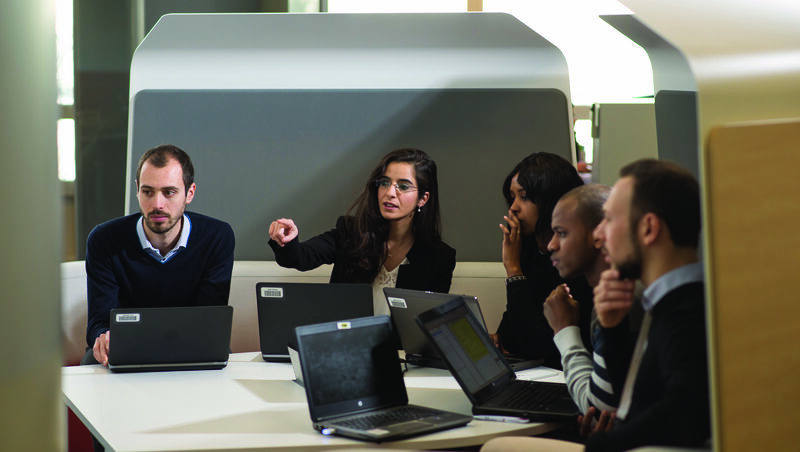 The Renault-Nissan Alliance is an official partner of the COP21 United Nations climate-change summit, providing a fleet of 200 Alliance electric vehicles, including 100 Renault ZOEs, to ferry delegates between Paris and Le Bourget from 30 November to 11 December 2015. 1/ Zero atmospheric emissions of CO2 or pollutants under NEDC certification cycle (excepting from abrasion of wear parts). 2/ Data calculated from figures provided by Comité Professionnel du Pétrole, comparison with vehicle of equivalent category.